American Theater Dance Workshop - Announces the World Premiere of "Cracked" - A Fresh, New Look at a Classic Holiday Tale. New Hyde Park, NY - May 8th, 2014 - American Theater Dance Workshop and Nomad Contemporary Ballet proudly announce the World Premiere of "Cracked" - A Fresh, New Look at a Classic Tale. Featuring a story written by Jerome Vivona and Choreographed by NOMAD Founding Artistic Director, Kristen McGrew this new production of "Cracked" will surely become an annual family classic. The Ballet will showcase the professional dancers of the Nomad Contemporary Ballet and the pre-professional dancers and students of the American Theater Dance Workshop and ATDW Ballet Repertoire Company. Please, support us as we introduce the next generation of ballet lovers to a vibrant, contemporary, and exciting new version of a holiday classic. In June, ATDW and NOMAD will host auditions and choreographic workshops at the American Theater Dance Workshop Studios in New Hyde Park, NY as they begin the process of casting the pre-professional ballet ensemble. "We will look to incorporate as many of our ATDW students as we are able through the audition process." - said ATDW Artistic Director, Michelle Vivona. Limited rehearsals and choreography workshops will begin this summer during our summer ballet intensive and throughout the fall as we work towards the World Premiere. This Winter - try something new! 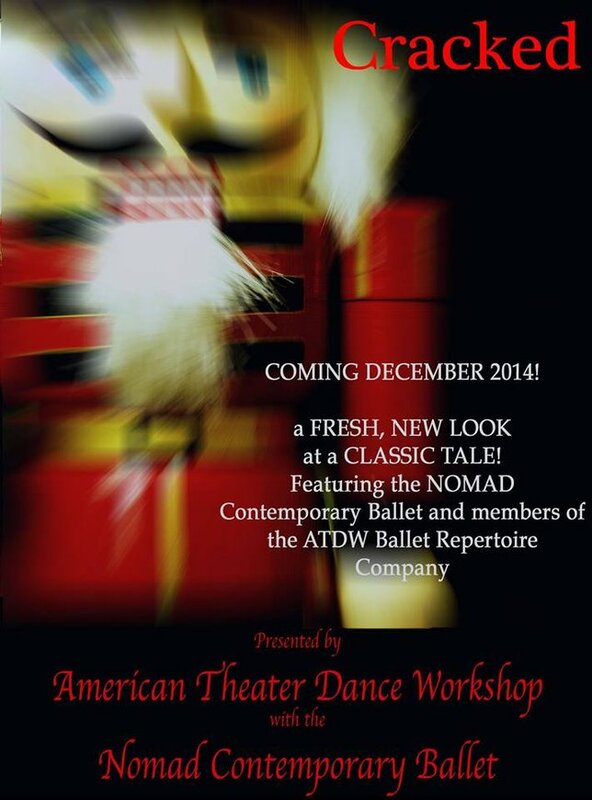 ATDW and NOMAD is where young ballet dancers learn to connect technique with artistry. Subject: LongIsland.com - Your Name sent you Article details of "CRACKED - American Theater Dance Workshop and Nomad Contemporary Ballet Announce World Premiere of a New Ballet"